With the optional chassis cab. 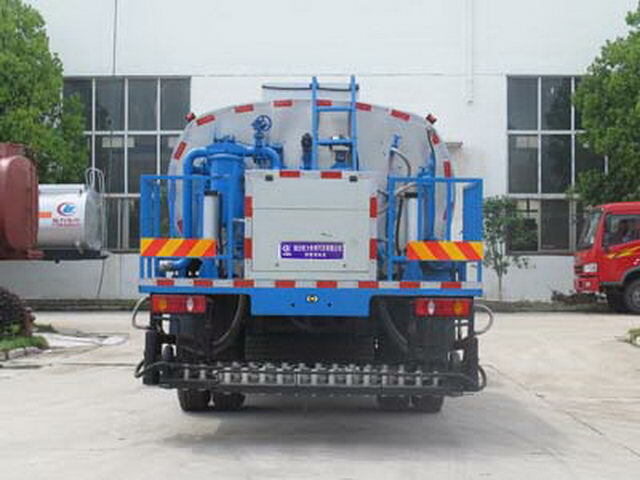 Effective volume of tank:8.5Cubic metre,medium:Liquid asphalt,density:900Kg/Cubic metre. Oval tank size(long/The major axis/Short axis)(mm):3750/2350/1550(Internal size of the tank3650/2250/1450), The thickness of the tank insulation layer is50mm. 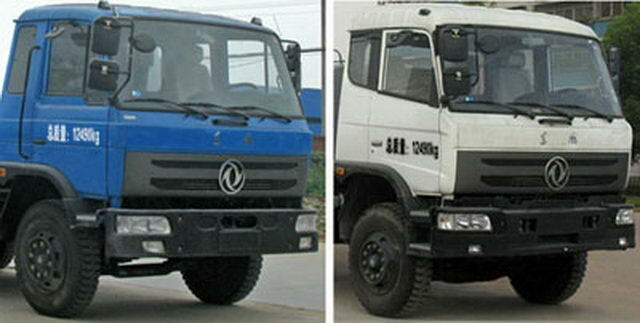 Only choose the wheelbase(mm):3950. 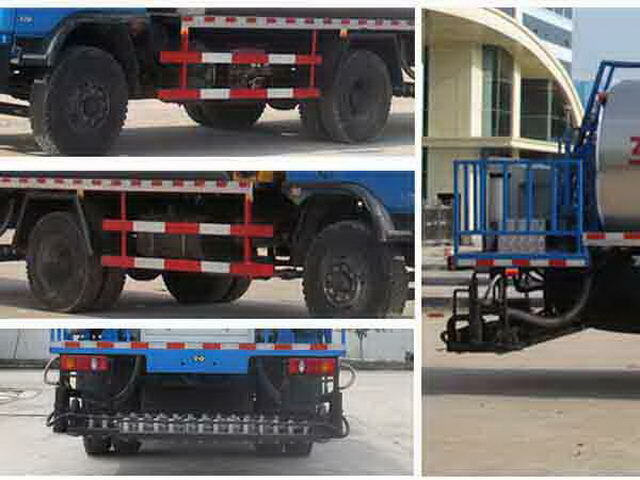 Protective material:Q235Acarbon steel,Connection mode:The left and right sides are protected by welding connection ,Rear special device and rear protective phase interference,Post protective immunity.ABSManufacturer:Dongfeng electronic Polytron Technologies Inc brake system company;Model:3631010-C2000. 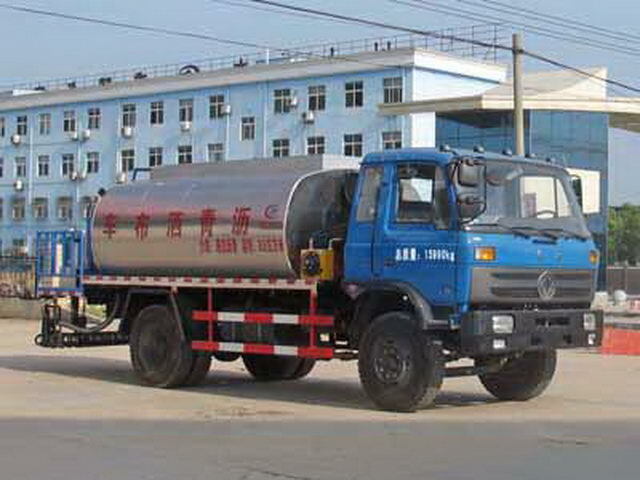 9000-5100-2650-22,7370-3950-2170-24.2The wheelbase, correspondence.3Optional cab, front door,Front lamp and bumper,Muffler can be pre.4And the optional speed limiting device,Speed limit80km/h.5,YC6J180-42Maximum net power of engine128kW,ISDe180 40Maximum net power of engine126.2kW.ISB190 40Maximum net power134,ISB170 40Maximum net power119,YC4E160-42Maximum net power113,YC4E160-45Maximum net power114.6,ABSThe manufacturer of the East Branch Knorr commercial vehicle braking system(Shiyan)Limited company;Model:3631010-C2000.